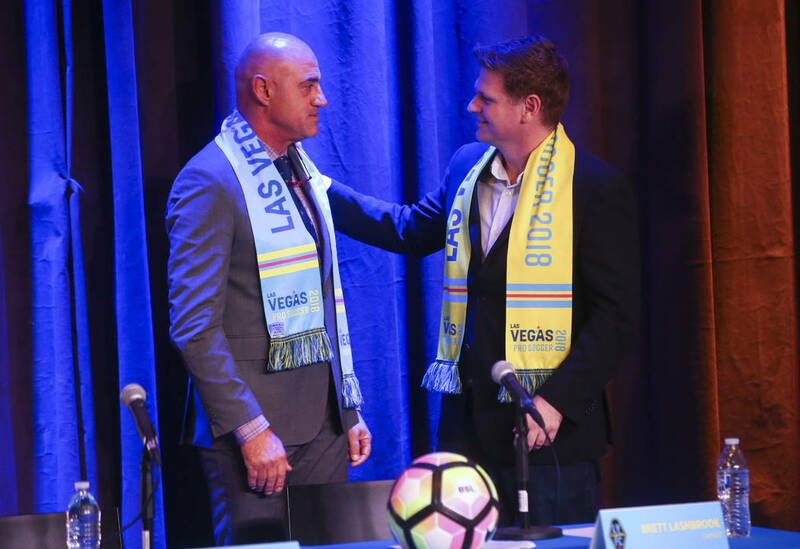 Chelís, the 58-year-old new coach of the Las Vegas Lights FC, was energetic and talkative at his introductory press conference on Tuesday. He walked on the stage with a tear in his eye. He tossed a soccer ball into the crowd, took pictures with fans and offered to buy a beer for anyone who would meet him Downtown on Tuesday night. 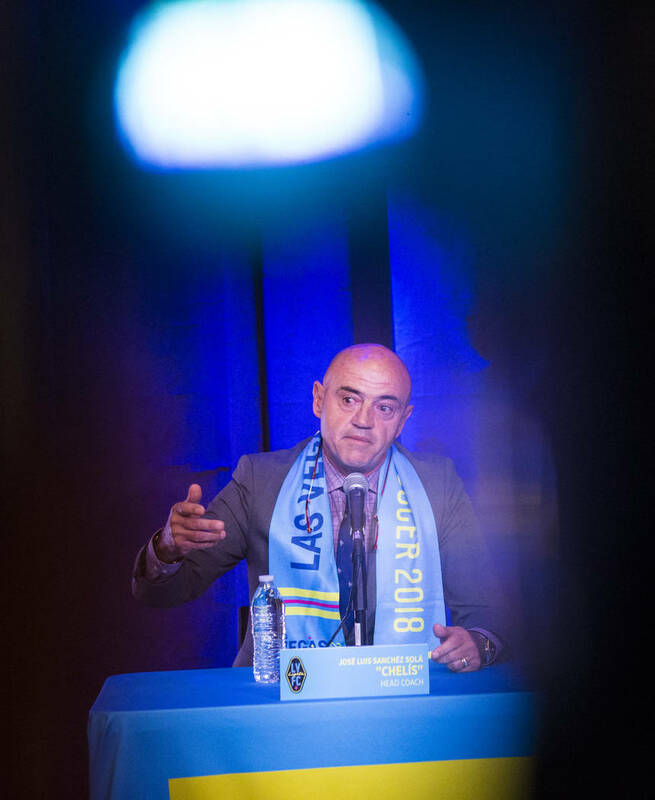 José Luis Sánchez Solá, commonly referred to as Chelís, came as advertised in his first press conference as coach of the Las Vegas Lights FC on Tuesday. 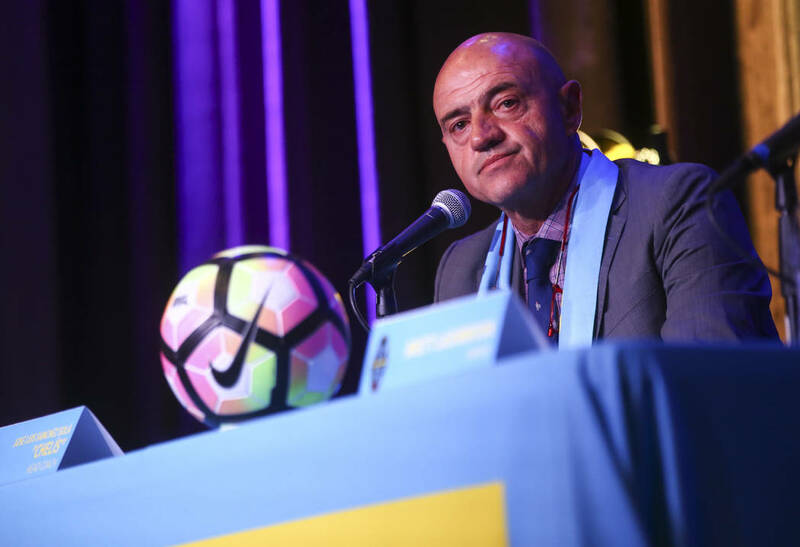 The 58-year-old native of Puebla, Mexico, was energetic, he was talkative and he was ready to connect with fans before his team begins play in the United Soccer League at Cashman Field in 2018. 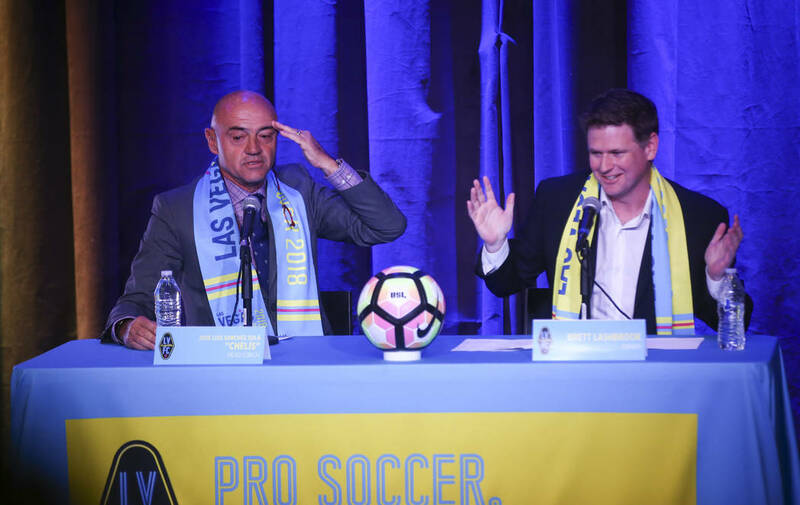 Lights owner Brett Lashbrook said he was looking for three things from his head coaching candidates: a willingness to embrace an attacking style of play, the ability to speak both English and Spanish and an eagerness for the “awesome” project of starting a team from scratch. 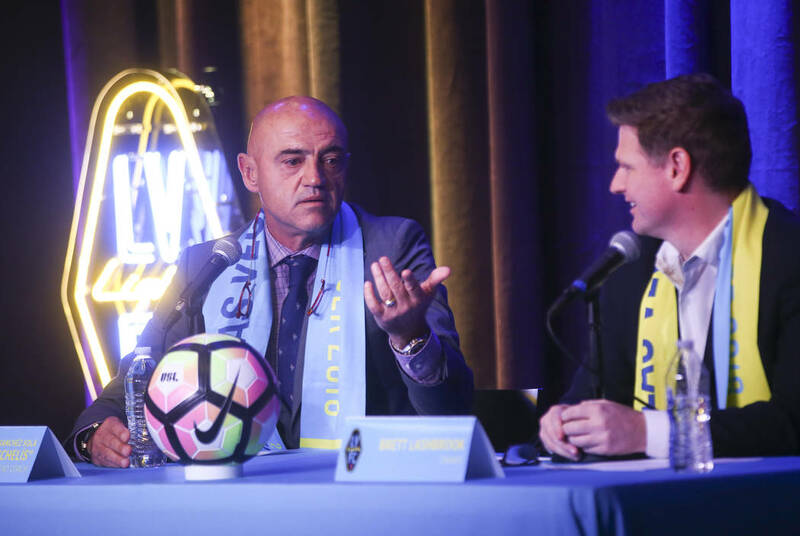 His initial pool of candidates didn’t fit his criteria, until he arranged a Skype interview with a veteran coach that had Liga MX and Major League Soccer experience. When Lashbrook explained to Chelís what his vision for the team was, the coach told the owner what he had been waiting to hear. Lashbrook also found a crowd-pleaser. 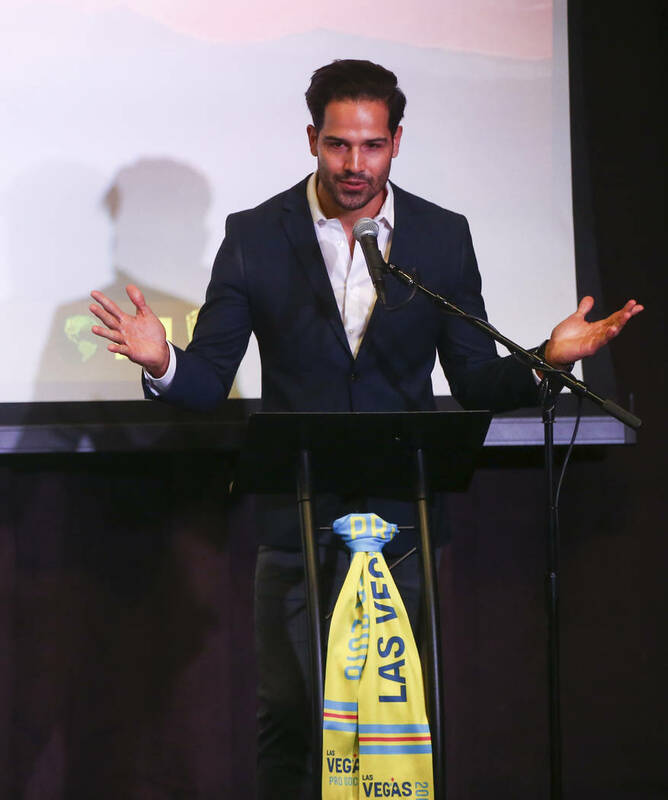 One fan at the press conference shouted, “I love you Chelís!” in Spanish after he was introduced and several chanted his name once the ceremony ended. In between, he got several laughs from the crowd as he spoke in-depth about his vision for the team, apologizing multiple times to the translator on hand for rambling. The loudest response he received came when he promised that any fan who wanted to meet him at the Downtown bar Gold Spike on Tuesday night would get a beer on the team. 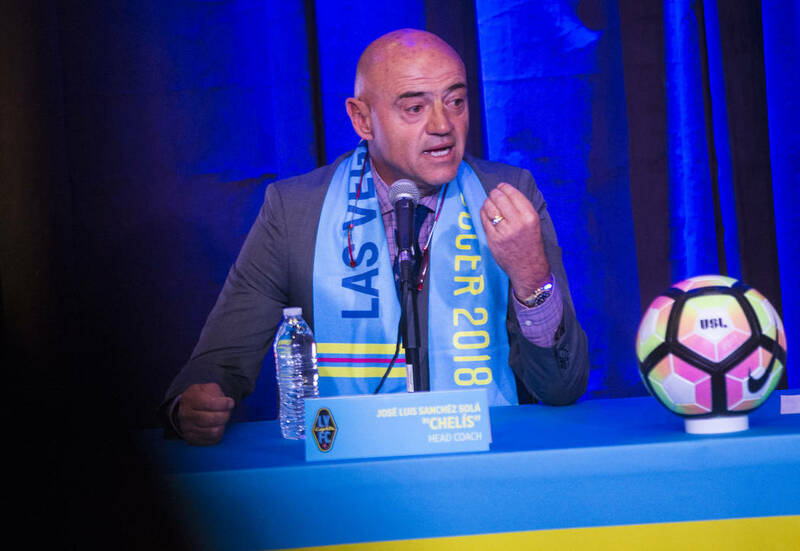 “(I) have only one promise to everyone, and that is every time someone watches the Las Vegas Lights FC: … they will be entertained,” Chelís said through a translator. A team must reflect its community. Chelís announced at the press conference that the Lights would be holding open tryouts on Dec. 8 and 9. 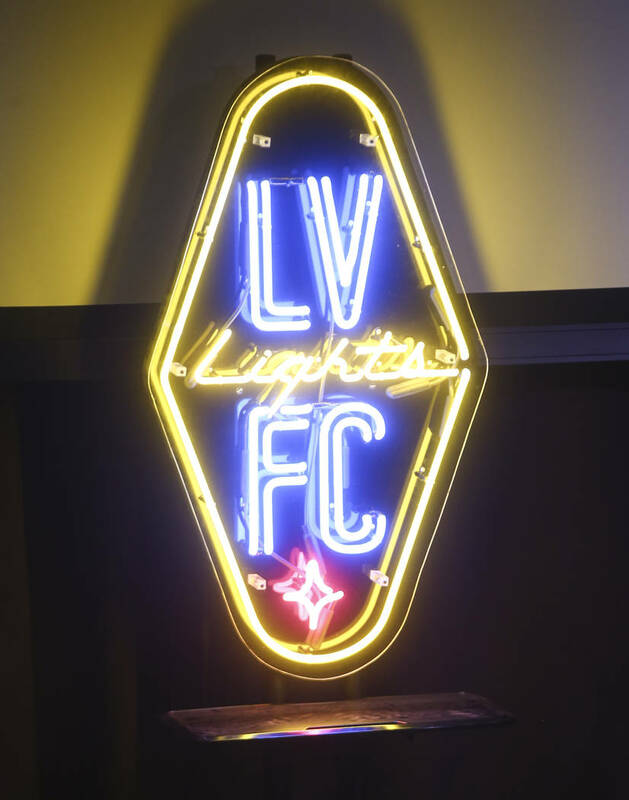 Details weren’t immediately available, but more information can be found by contacting Scouting@LasVegasLightsFC.com. 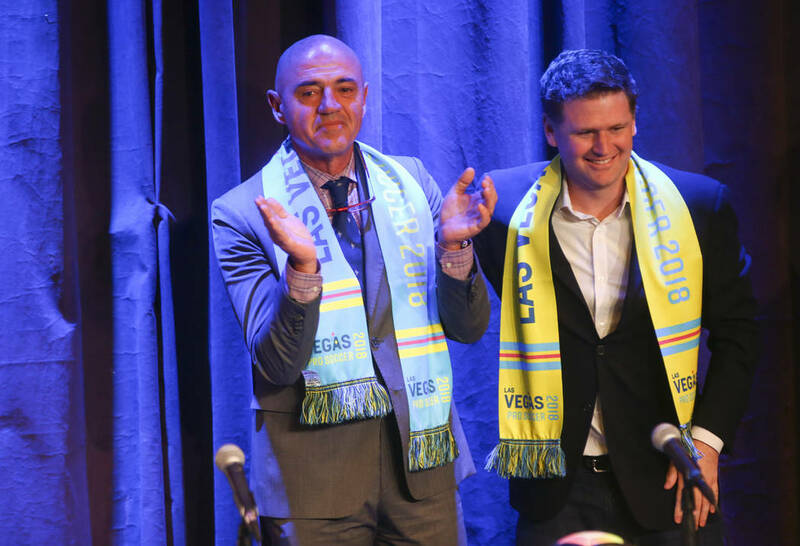 “I want to make sure this team smells like Las Vegas,” Chelís said through a translator. 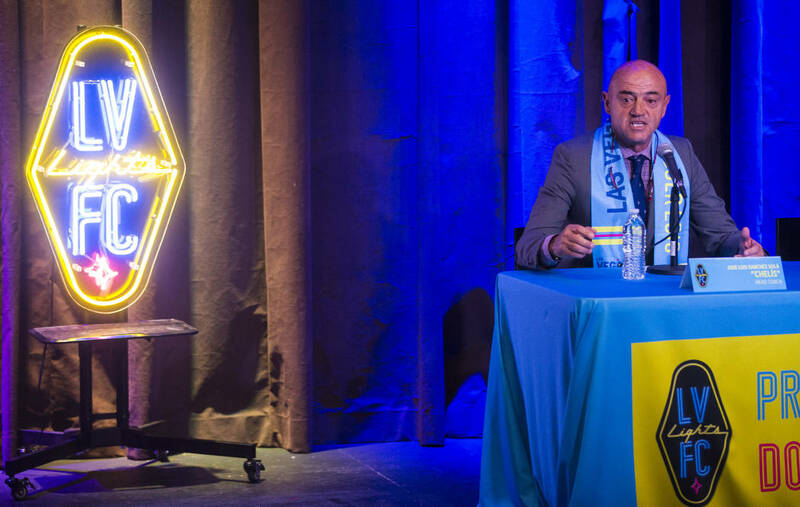 Lashbrook said at the press conference that several MLS teams approached the Lights hoping to directly affiliate with them, but the team declined. 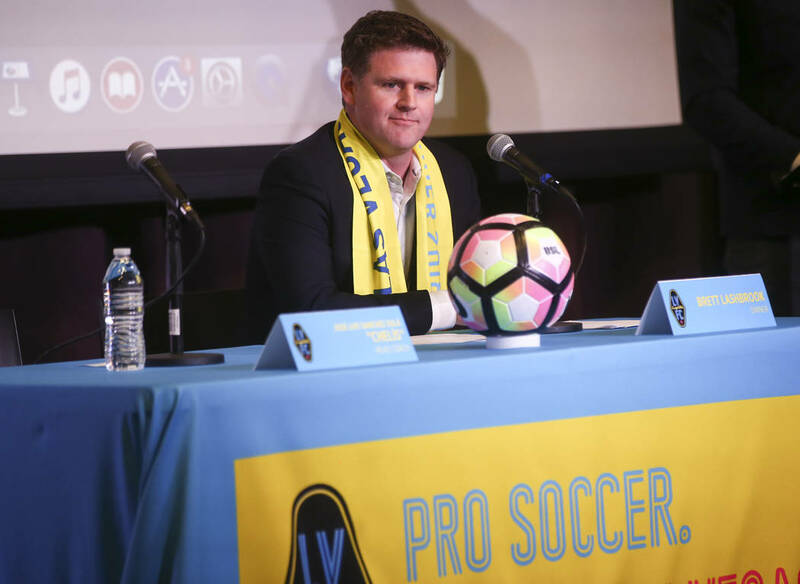 Twenty-two MLS teams had affiliations with USL teams at the start of the 2017 USL season, with the second-division USL functioning as a proving ground for first-division MLS.